Filters for the amateur and civil radio sector. Innovative supports in the PATENT pending phase in Anticorodal 6060 Aluminium, anodised and laser etched. Technical characteristics of the highest level. Unique preamplifiers with circular design, coaxial. Models available with integrated VOX and low NF. 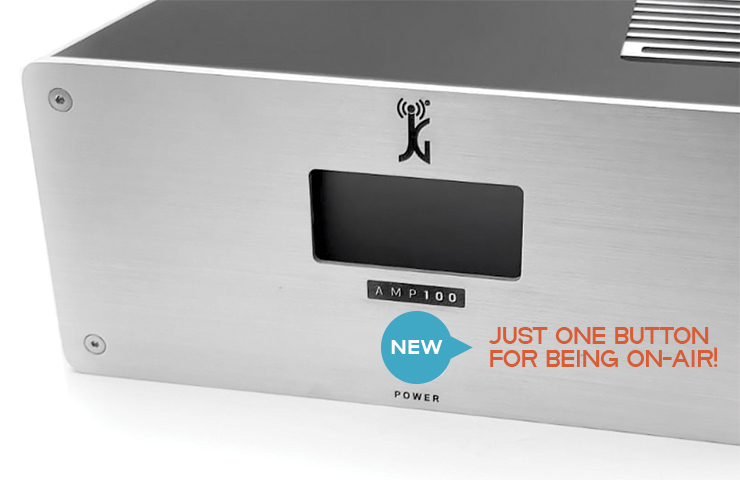 Preamplifiers with innovative design and patented support. Made from the full aluminum alloy in Anticorodal 6060 and micro pallinate with nano ceramic spheres. Top-of-the-range Performance. HF Power amplifiers. Soon available for sale. Front in brushed aluminium, OLED display. Italian Elegance. Cured in the smallest aesthetic details, from the front to the individual screws. Everything has to be perfect. €163.11 Tax excl. €163.11 Tax incl. €40.16 Tax excl. €40.16 Tax incl. Innovative UHF coaxial UHF preamplifier for 6 meters bands. It works from 50 to 54 MHz with VOX circuit. You can use it with 100W. Coaxial relay on board. Perfect for EME, SAT, CONTEST and TROPO. Very low noise number (0.35 dB max with ON relay) It is possible to supply via coaxial cable. €162.87 Tax excl. €162.87 Tax incl. Innovative UHF coaxial UHF preamplifier for 70 cm bands. It works from 420 to 450 MHz with VOX circuit. 900MHz notch filter at the input (eliminates LTE frequencies at the input) You can use it with 100W. Coaxial relay on board. Perfect for EME, SAT, CONTEST and TROPO. Very low noise number (0.35 dB max with ON relay) It is possible to supply via coaxial cable. €161.48 Tax excl. €161.48 Tax incl. UHF preamplifier for 6meters band ( 50 to 54 MHz ) with integrated VOX circuit, bias tee and coaxial relay on board able to work without any external accessory up to 100W. Perfect for satellite use, contest, right and eme. Ultra Low noise figure. Circuit designed with components of the latest generations. €81.15 Tax excl. €81.15 Tax incl. €48.36 Tax excl. €48.36 Tax incl. 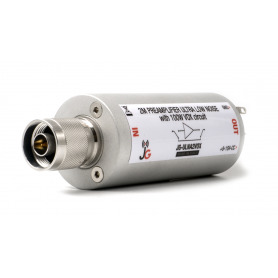 Notch filter 88-108 MHz with BNC connectors with innovative design. It has the same design as your radio and you can always keep it mounted. This model designed and optimized for the receivers only allows to reduce the FM signals from 88 and 108MHz, containing to the minimum the losses at 78mhz and 120MHz. Low leakage up to 1.5 GHz. Amphenol connectors. ANTICORODAL aluminium structure. €64.75 Tax excl. €64.75 Tax incl. 88-108MHz coaxial notch filter ( or band stop filter ) with N connector. It attenuates over 90db at 98 MHz. Among the best notch filters present on the world market today. 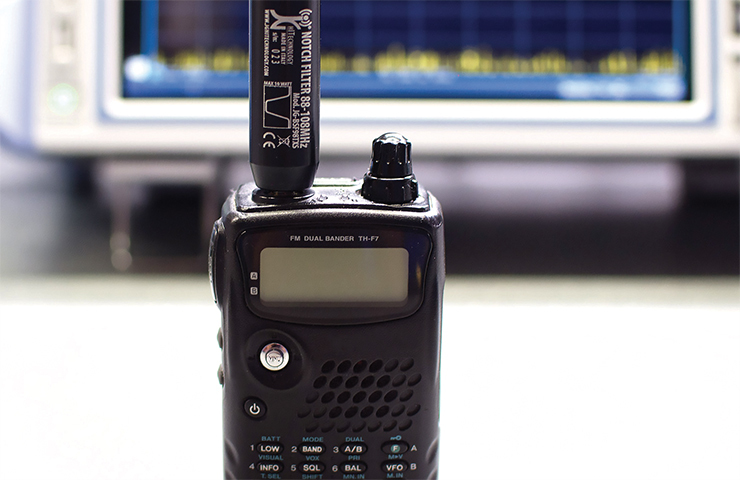 Perfect for professional use and/or amateur radio. 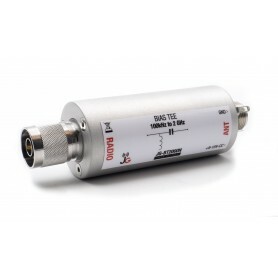 Notch SMA 88-108 MHz filter with innovative design. It has the same design as your radio. 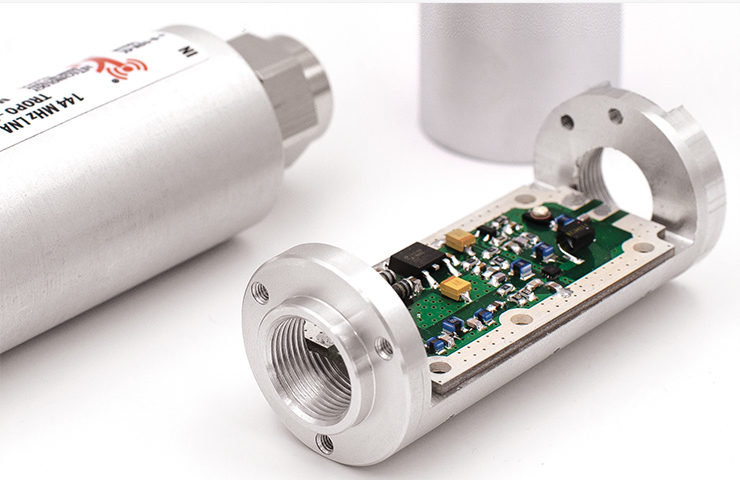 This model is designed and optimized for transmitters. You can use it without ever unmounting it up to 10W. Low loss of up to 1.5 GHz. Optimized for radio bands transmission. VHF 144MHz preamplifier ( 2 meters ) with VOX circuit. You can use it with 100W. Coaxial relè on board. Perfect for EME, SAT, CONTEST and TROPO use. Very low noise figure ( 0,3dB max with relè ON ) You can supplied by coaxial cable.